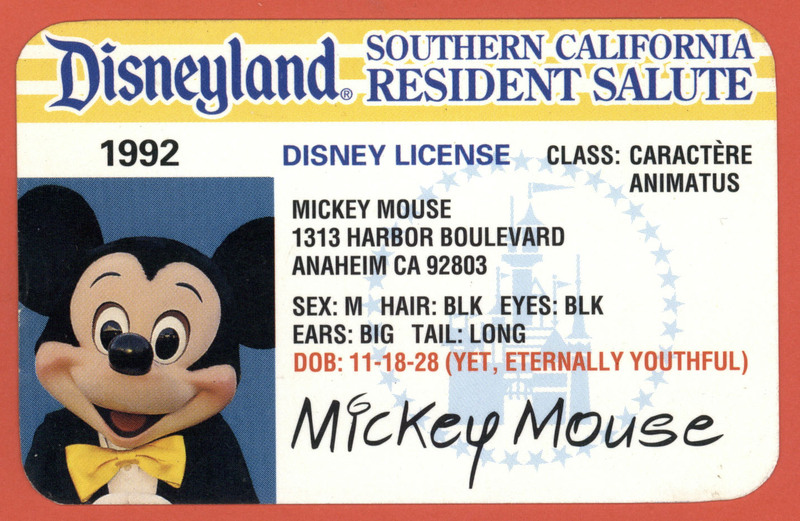 This "Disney License" was created for Disneyland Southern California Resident Salute program which I think was for discounts on passports. 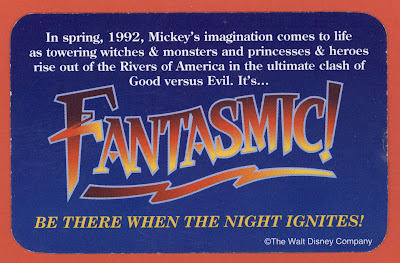 This "Disney License" actually looks pretty close to a real California license of 1992. How come Mickey doesn't have to disclose his weight like we do? 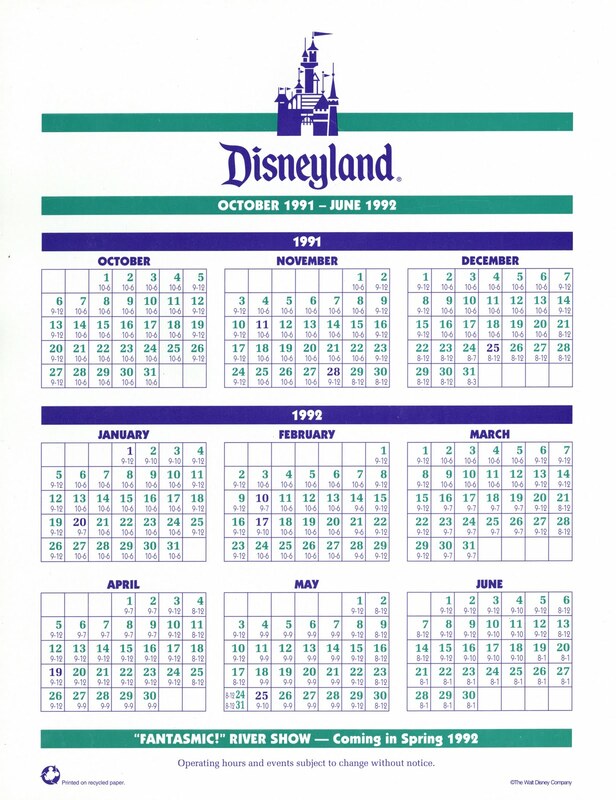 For those that need to know the park hours from 20 years ago. 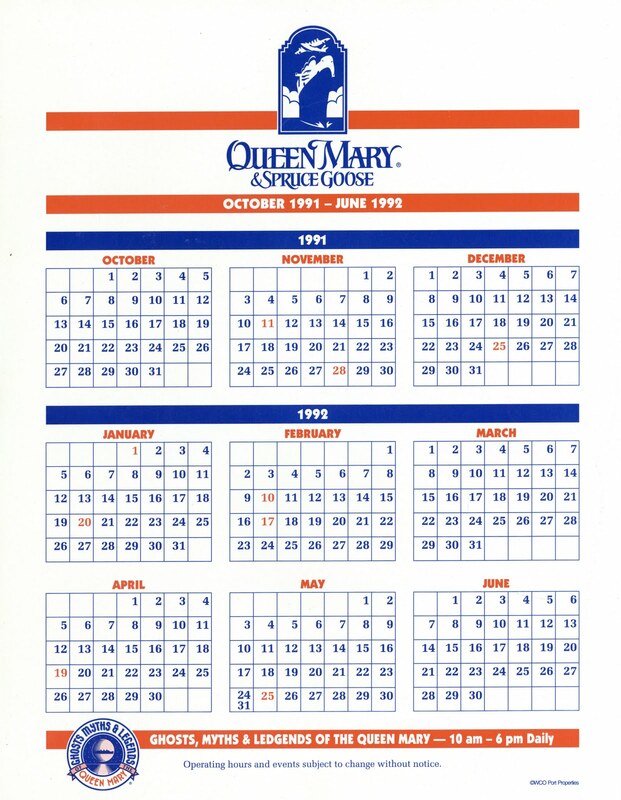 The Queen Mary is on the back of the Disneyland calendar. Seems to be a Queen Mary week all over the Disney blogosphere! 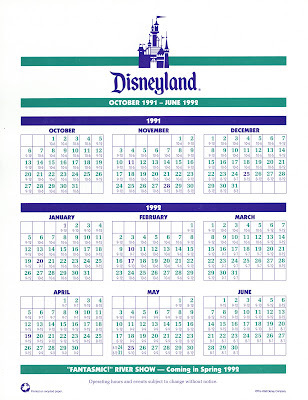 I just finished an article for Disney Dispatch that features all the nametags Disney used when they were managing the QM lease. My article even features the ultra-rare nametag worn by WCO Port Properties, the subsidiary company Disney created to manage the QM and Spruce Goose. 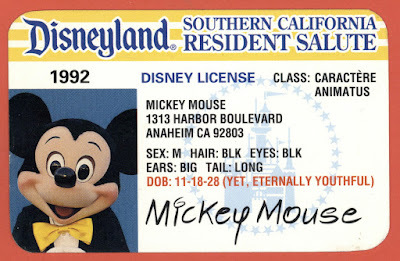 I have one of those licenses, saved from a visit to the park. I wonder if there are variations, perhaps with the same front and a different back? Not sure where mine is, or I'd compare it. I have one too, but don't remember how or where I got it. 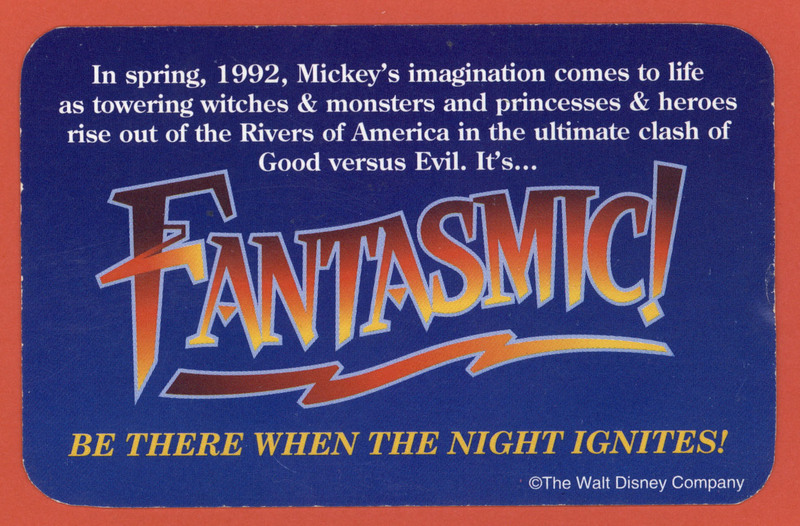 I don't remember Fantasmic being on the back either. Time to dig it out!